So... I've never used X-Adv bindings before. Are they compatible with Profil? I assume not but thought I'd ask. Is the X-Adventure just another of Salomon's failures? It looks like there is also a BCX-Adventure which would probably be bigger. Then there's Profil. So where does X-Adv fit in? X-Adv looks to have a binding ridge shape that is smoother in its curves than Profil. Maybe it's supposed to be a half-step bigger than Profil? All of the X-adv bindings/boots are compatible. The profile and other track-orientated Salomon bindings are not compatible with x-adv. At this point, to my knowledge, Salomon is the only remaining manufacturer making x-adv compatible boots. 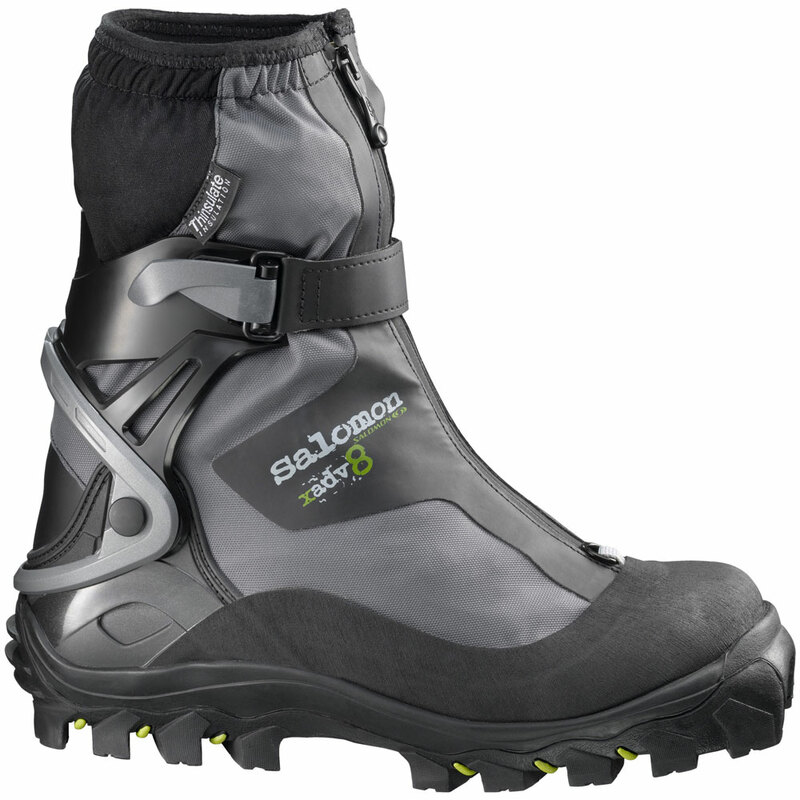 It's a very well designed backcountry-xcountry binding- however I have never found a pair of x-adv boots that fit me properly. I have heard an ugly rumor that Salomon may be discontinuing its x-adv line? i see now that the x-adv shape is different -- more 'curvy' -- than the Profil. how was it functionally diff? I wonder why a company would create such a thing. Everything about the x-adv is built heavier and stronger than the track-orientated bindings- for off-trail use. There is also more resistance in the binding, for both off trail K&G stability, and moderate downhill power. It was designed to compete with Rottefella's NNN-BC bindings. If they are discontinuing the x-adv- that doesn't bode well for the further development of backcountry system bindings. lilcliffy wrote: doesn't bode well for the further development of backcountry system bindings. I had a pair of Salomon X-Adv XA/Adv-8 boots on my Madshus Glittertinds and loved the combination. Unfortunately, I developed a bad blister below my ankle from a seam in the boot mold that I was unable to remedy. Returned them to find a replacement boot couldn't be ordered. Ended up having to change to a NNN-BC Magnum with Alpina Alaskas. The boots were comparable, but the bindings, no contest. The XA were a far better binding. Ingress and egress with the Magnums are as difficult as the XA were easy--and the XA included a leash pin. I think you're correct Jeff, Salomon seemed to lose interest in this platform, sadly.